Hey Ken Cannon here. Saying I love you in Japanese is actually a lot harder than you might think. Watch the video above to find out why. -This ones pretty simple. Her name is Aki. And “wo” is just like “ga” in this case. -Here she’s simply screaming “Like/Love”, which is totally cool in Japan. Because she followed it with “desu”, this sentence (sentence?) becomes polite. Also in Japanese unlike English you just need a verb to make a sentence complete. Nyugaku shita toki kara zutto suki deshita! -Yeah, we’ll save this one for another time. You should just be able to see the word “suki" in there. -Here we have the word “kimi” (you) instead of the name, which is cool and overall makes sense since he just said her name (Hagu-chan). -Other than that you should recognize the word “ore” (I) from my last Japanese pronouns video and you really don’t have to add this word, but he felt the need to stress that is was him who liked her. -“Wa” is another (I know… theres quite a few) marker word, and just links “ore” to everything else. -“Da” makes this sentence more firm, definite or declarative. -“Yo” is kind of like an phonetic exclamation point. -Alright although this looks like a mouth full, after all the pervious explanations you should be able to understand this one too. 2) Yuna, I’m a creepy stalker. 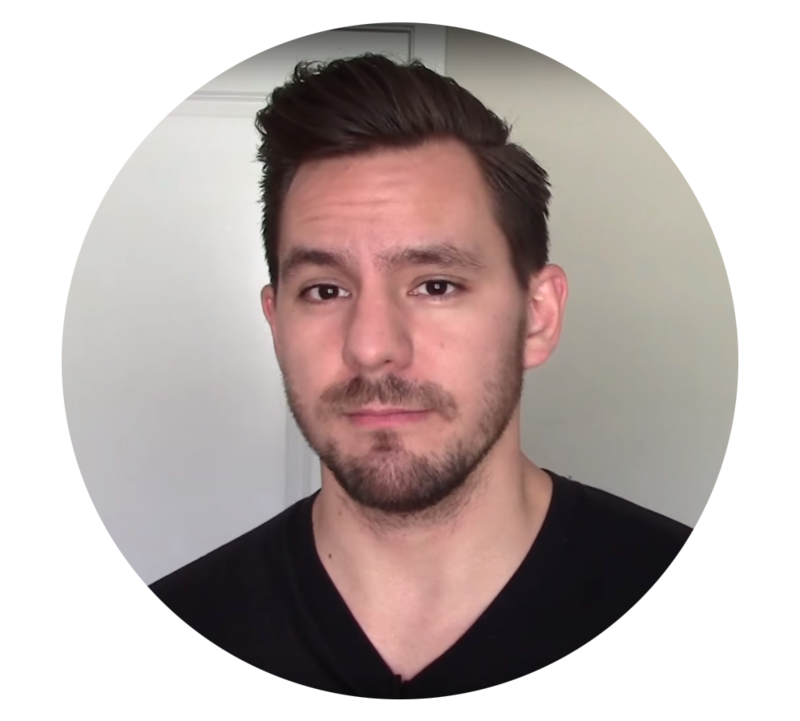 Check out my Video Newsletter! Hey, Ken Cannon here. So today I’m gonna be teaching you all about how to say “I love you” in Japanese. The reason for this lesson is the same as my Japanese cuss word video, (Look over and then up) the term I love you is the number one thing people generally search for when learning a new language. Now saying “I love you” in Japanese is actually much more complicated than in English. Simply because there’s different types of love, and different meanings for each. So to get started, the literal word for “I love you” in Japanese is aishiteru. This word contains the notoriously hard to pronounce Japanese syllable, ru, so pay careful attention to that. Most people describe it as a cross between the english roo, doo and loo. (Pronunciation guide) ai, shi, te, aishite, aishite, ru, ru , ru, aishite, ru, aishiteru. Aishiteru. So basically aishiteru means you're “doing love.” Well, not yet, but hopefully right? Ok now here's where the big “but” comes in, aishiteru is a very powerful verb, and is used only if you are in an extremely serious relationship, much more serious than the english counterpart requires. So as you can guess this word is not used very often, in fact, some married couples have never even said this to each other. So it’s not at all like the english “I love you” which is sometimes said so much it’ll give you a stomachache. Now for those of you who aren’t in a 'til “death do you part” relationship, and still want to tell your smooch buddy, or future smooch buddy that you love them and not come off like your creepy obsessed stalker I’ll share with you guys 2 other ways to do so. But before I do that I want to teach you guys a vital concept/ word in Japan and anime that doesn’t occur in America. Kokuhaku literatly means confession, and is what you call the event of confessing your love to your special someone. Ok the confession of love in Japan is absolutely vital for any relationship to start in Japan. Basically you have to go up to someone and say “I love you!” in the most awkward way you can. No I’m kidding, this act is actually not weird at all unlike it would be in English, and is pretty much the norm. Yuna…. I love you! I’ve always watched you secretly from afar, in the shadows with high powered binoculars … hoping to get the chance to kokuhaku you. Here’s some kokuhaku examples from anime..
Ok, now that we have that covered, what do you say when we're making our kokuhaku, or just wanna say something a little less serious then aishiteru? OK, the word “suki” actually means “to like”. But in Japan this is word you use when your kokuhakuing, and it’s also the word used in most circumstances when you wanna say you love somebody. Now ga is simply a “marker word” that comes after the name to indicate who or what it is your “suki” is directed towards. Ok now I’m going to teach you the more proper way to say I Love/Like you. “Name” no koto ga suki. Ok, the reason for this change is that “name ga suki” can sound a bit childish, since it’s so basic. Also “no koto” changes the word “like” into “Like like” as in mmhmm. Sakana no koto ga suki = I like you fish…. Koto is a word that means “intangible thing” as in “the idea of” I like, the idea of Yuna. And "no", is another “marker word” which indicates possession, and links two nouns together. As in the Yuna’S idea, or again the idea OF Yuna. Ok, in closing we have. Ok I brushed passed a lot of the vital grammar since this is a youtube video but if you guys wanna see more examples or bunch more S.B related words. Head on over to JTA.com that’s JapaneseThroughAnime.com. Anyway see you guys next week! Yeah no problem man, for some reason YouTube is being a douche so I'm having to re-upload my video but bare with me and it'll be up soon. haha thanks! I'm sure she'll be glad to hear/read that.. although.. that's probably not hard to do..
Oh really? Well I'll have to give that a lookin, thanks. I was hoping to find some way to say I love you to my new current Bf. I hope he likes it! It Was A Lot Of Help.Thank You. @cmoraes, sorry it was my attempt at bad humor. No, you definitely want to say it seriously in a serious situation. Dude, go check out the anime "To love Ru" in the first episode since he got a girl's attention and said i like you, but without '"name" ga suki' a whole plot comes from that. it is hilarious. Oh serious? Ok will do. Ha. Some funny stuff there. Kinda handy too. Hopefully when classes start again in 2 weeks I'll whip out the binoculars line and make them all run in fear from the gaijin. so when would one use the word koi another way to say love. would this be the word to you use for a family member so its not weird and or creepy lol? No, koi is more closer to a "crush" in English, that bubbly first few weeks kind of love. Awesome vids Ken! I especially liked the Tohoku ben one. \（＾ｏ＾）/　thank you　for　this　video~～～～　it made my day ^^! You're welcome! And yeah for sure! But of course I put most of my videos in my video newsletter! I like your video. It is very useful to learn Japanese. By the way, I am Japanese and I am studying English to go to the college in the USA. I answer your Japanese questions. The url of my blog is http://japaneseintheusa.blogspot.com/ I wish you come to the my blog. If you suspect that I am fake, please cotact me. Thanks for the videos anyway..been enjoying to learn Japanese since Im an anime lover..thanks! although even if i feel and act so stupid this way, i'll still be watching your videos so please keep on updating and keep being amusing ^_- (funny in a good way)! Wow! I'm no one to tell you how to run your life but, I always say go with what your heart tells you what to do, you'll always make yourself, and those around you the happiest in the long run, even if it doesn't feel like it in the moment. He's a very well explainer! I'm really getting the hang of this. Thanks dude! ken can u teach me how to speak in japanese? and I'm Johnic or John Ebison. Sure! Stick around my blog and newsletter and I'll do just that. lol, thanks for sharing! but yeah ganbatte! Oh awesome! I'm glad I popped up too! ^^ mata ne! I don't mean to offend you by posting this, and I apologize if it does. But this site I found seems similar to yours and I was wondering if you can rate it as they are teaching japanese through anime and have been around longer. Yeah I think it was a great site! Unfortunately the owner has gone MIA for the past 2 years, but still they have about 3 months of good content. kensan wa nihongo no jouzo desu. boku mo nihongo o benkyou shite imasu. kono kotoba ga suki desu. demo nihongo wa, watashi ni totemo taihen da. tokidoki benkyu suru no o yametai. anata yoku dekimashita. shitsurei shimasu. Arigatou! Anata mo kanari jouzu desu ne! Ganbatte! Sorry, but the 300 most common word list in anime is actually reserved for JTA class members. So it would pretty disrespectful to the hundreds of students who signed up there if I started giving it out for free. I just accidentally earased a nice little paragraph that I was going to submit, so I'm just going to keep this short. I can't find anything on your site. Is there a forum? I saw one in your video, but I don't see one on the site. Can I watch old newsletter videos? or and I stuck with only seeing the ones that I get from now on? I'm very interested in your youtube channel, although it's slowed down, and with your web site, but there is almost nothing here. Is everything available to your students? Because I can't find out how I would sign up for that either. I will come back and see if you comment. Not Ken Cannon or anything, and you may know this already, but the forum is for students only. (I'm not one, but I've explored this site for a little while and signed up for the newsletter). Ken has also mentioned in his videos that his students are able to see everything he has to offer. I'm not sure about the newsletter videos, however, as I only signed up recently. So, I have been studying anime simply through subtitles and with the help of a friend who grew up in Japan, but you are extremely helpful and I just want to say thank you so very very much!! You have made my life wayyyy easier!!! whats th difference between aishite imasu and aishiteru? Hi your japanese is really good. I'm japanese and i'm studying english. Watching "learning japanese video" in english is so helpful for my studying english as well. And i didn't know that the difference between "kimi ga suki" and "kimi no koto ga suki", even im japanese. so may be you could teach japanese to japanese students haha. I came across your site from another site because I finally want to learn Japanese after years of watching anime and having to wait for subbed videos. I thought this was interesting because I didn't know that there was an I love you more serious than suki. I'm not Ken Cannon, but I have been studying Japanese for a while and can answer your question. In Japanese, liking something is an adjective instead of a verb like it is in English. For example, in English you would say "I like anime." In Japanese you would say "Anime ga suki." which means "As for me, anime has like." The subject, I, is omitted like Ken described in his video. Dai is a prefix you can add to a lot of adjectives that increases the intensity of that adjective. Examples. "Anime ga daisuki" means "I really like anime." "Yasai ga daikirai" means "I really dislike vegetables." "Ken Cannon sensei ga daikirei" means "Ken Cannon sensei is really beautiful." And so on. I hope this helps. Just watch out with that! I heard aishiteru in Golden Boy yesterday. It's a short (6 episode) anime, and in episode 3 a yakuza says aishiteru repeatedly to a girl he's trying to marry. 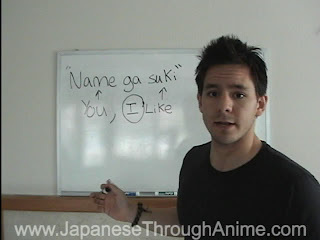 In an anime I had just finished seeing, I heard daisuki means I love you. Its an english sub but I'm not sure if the translation is wrong. This was before I stumbled upon this page. I'm not sure which is right. no such a thing as direct translation, so can't quite explain this one. It depends on the context a lot! But Japanese as a language has such different nuances and words with meanings that can't at times even be described in English, that it's very hard. Hi Ken I just stumbled on your webby by pure chance..anyhoo what a laugh..i almost spat my tea out when I saw the I love you cat bit :) hehe! Can I ask some advice? Did you learn to speak first or learn kanji first? Is it better to learn to speak first with romaji? A few of the "big" sites say nooooo romaji is evil! Anyway glad to have stumbled on the site matey, pretty good fun, will deco stay around! Heya, I've been studying Japanese for a few years now and currently live in Tokyo! Learning romaji is DANGEROUS so please don't! Best to learn hiragana and katakana and then over time learn kanji. You can always have kanji characters with the furigana (readings) on top to make things easier :) Learning romaji gets you into bad habits, that's why I suggest to avoid it. Speaking is the most important skill in any language, practise speaking as much as any other skill! Daisuki dayo is also like I love you as far as I know. Dai=great suki=like so yeah something like love. だいすき　だよ(Daisuki Dayo) means something along the lines of "I REALLY like you." Ken has done a nice job of explaining だいすき(daisuki) as "I like you", and the だよ(dayo) that we often hear in Anime is a result of the colloquial style of Japanese that is used in cartoons. In formal Japanese we would probably say だいすき　ですよ(daisuki desuyo) but だ(da) and です(desu) are effectively the same word, they both mean "is". The よ(yo) on the end is an emphasis marker. It just means "I'm super serious". Aishiteru is used in the last episode of fate/zero. I am just catching up on Naruto and heard several instances of aishiteru in episode 295 ("Power - Final Episode") which came out some time after this post. I am just learning Japanese from the Pimsleur method and various online resources. This site is one of my faves. Arigatou Gozimasu! Thank you! I am starting to learn japanese (3rd language) and one of the concepts are giving me trouble. Because not everything is able to be directly translated. In spanish they don't say I love you either, and they use "Te quiero" (I want you). Hey Ken, I know of one instance of "aishiteru" in anime. By Naruto's mom to her son. Is it accurate to only use romantic examples? I can't get to the spring promo through your link in the newsletter because when I click on it it sends me to the ajatt website but it says "this content is password protected". Help me! I sent you an email too.